What was I thinking when I thought I’d walk Golden Gate Park in a day? This park is huge. So early on I realised that I needed to make a decision about what I would see in the park and what I would miss. This was important considering I had gotten myself lost a number of times. I happened to meet one of the park’s gardeners and she gave me some good advice on what to see considering I only had limited time here. There was one thing she said I should see today as it was the last day it would be on. Everything else would be here next time I come to San Francisco, whenever that may be. That one thing was the Jean Paul Gaultier exhibition at the de Young Museum (ensuring I go up the tower to see the views of San Francisco while I’m there). I had thought of going to the Academy of Science but she said come again another time as I would spend most of my time queuing and as it was very expensive, I would probably not get to see all of it. 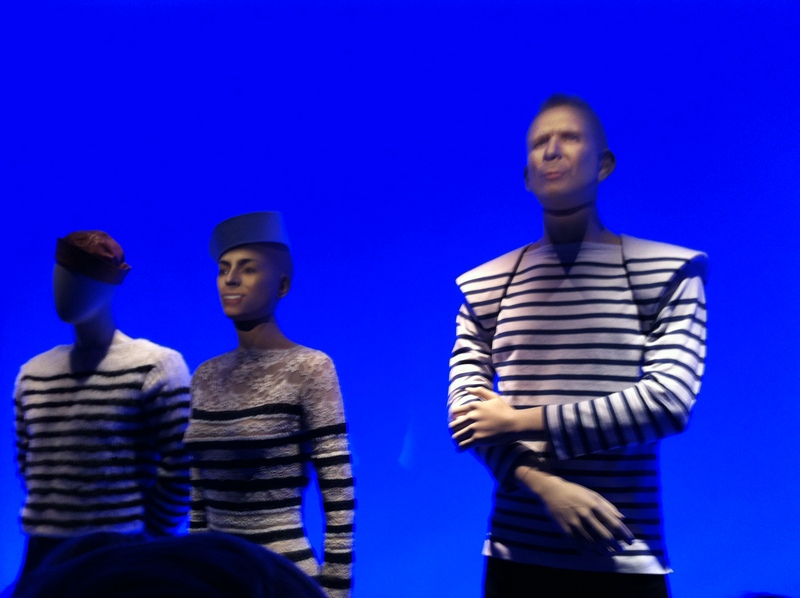 The Jean Paul Gaultier exhibition was brilliant. I am so glad I had that advice, and my visit was timely as once I bought my ticket they had started a queue outside the museum. Then when I was leaving they were going through the line outside saying that tickets were on sale for tomorrow only as the rest of the day was sold out! It was only 3pm. Thank you Sonia, the exhibition was just as fabulous as you had promised! Anyway, my day began with a walk up Haight Street starting at Neuno Vista Park, where residents fled for refuge during the 1906 earthquake. I can see why. There are signs at Fisherman’s Wharf to get to higher ground during Tsunami warnings. This park is where to head for sure. There and Twin Peaks. Walking up the Haight, I went past Janis Joplin’s and the Grateful Dead’s former homes around the corner on Ashbury Street. On the way up Haight towards the park, there are second hand shops, smoke joints and record (not dvds) shops. Not far into the park, I soon lost my way. A kind man asked if I needed help and, not wanting to admit it at that stage saying I was fine, he then casually offered me some Hash. This, the music being played throughout the park and the parties reminds you constantly of the history of this city and its people. The park was built by the community. San Francisco has no native trees. All the trees and parks across the city have been put there by the community. This park apparently used to be sand dunes. It is 48 blocks long and 8 blocks wide. It has a museum, a conservatory, a equestrian field, two golf courses, bison paddock, Yacht clubhouse, rowing on one of the many lakes and the list goes on. From the tower in the de Young Museum, the view of the park and beyond is amazing. Even with my fear of heights, I was in awe. To end my day, I went to see the Beach Blanket Babylon revue. This show has been running since 1974. While I didn’t get a few of the local political jokes, it was great fun. I did know all the songs and most of the characters and the costumes were incredible – well the headwear in particular. Google it, or go to San Francisco and see it yourself. You will not be disappointed. Only half a day left in this city. I am unsure of how to spend the last few moments here. I could go back to the park, hire a bike and see if I can ride around it. That would be great if it is clear so when I get to the beach it won’t be so cold. Or I could take a trip to the Fine Arts Museum down near Golden Gate. Or I could just wander around Japantown, seeing as it has been my home for the last few days. There is so much more of this city that I want to explore, including Muir Woods and Napa Valley. What I do know is that I will return.